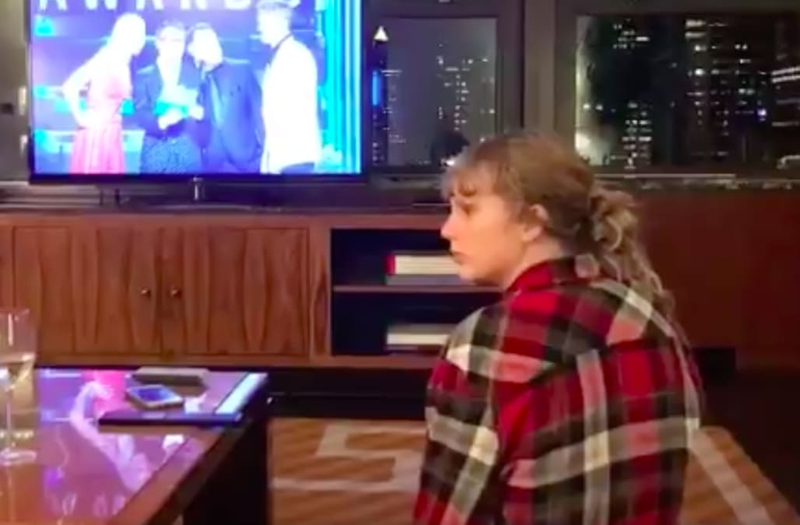 Taylor Swift took a momentary break from promoting Reputation -- and rehearsing for this weekend's SNL appearance -- to thank the 2017 CMA Awards for tonight's song of the year win. "Better Man," which she penned for country vocalists Little Big Town, earned the award. Swift took to Twitter to post her reaction to the win. In the short clip, she appears visibly in awe when she hears her name announced on the TV in front of her. "In NYC for SNL rehearsals. I LOVE YOU @littlebigtown and CMAs," she tweeted. Little Big Town accepted the award for Swift, who is busy preparing for her big album release weekend. "Taylor, wherever you are, thank you for this beautiful song and for loving songs and loving Nashville," Karen Fairchild said on the CMAs stage. Reputation will be available Friday (Nov. 10).